It’s Word of the Year time again! For the past 8 years I have selected a word to guide my year, rather than trying to set resolutions in January. I only have a record of 5 of those words, since I wasn’t blogging before that and I, uh, can’t find a record of my word for those years. But, my words for the past 5 years have been light (2012), joy (2013), fierce (2104), stretch (2015) and release (2016). Somehow, my resolutions always failed. But, a word for the year can’t fail. It just unfolds with its gentle influence and takes you places that teach and illuminate. When I picked release as my word last year, I had the strongest feeling that there was a big release on it’s way in April. I thought that my word might not last the whole year, but I knew I needed it. Sure enough, by April I had lost my job – laid off due to budget cuts – and realized the final release and healing as I passed the 5yr milestone mark of saying goodbye to a particularly painful relationship. My birthday is also in April and I took the opportunity to treat myself to a four hour Kaya Kalpa – an Ayurvedic treatment of rejuvenation. This was my image for release for last year and by April I felt like the rope had been cut and I was free to fly. And so, gradually a new word appeared – jump in – and off I went. I jumped in and negotiated my severance agreement to make it work for me. I jumped into some consulting work and began to explore the possibility of running my own business. I jumped in to my glassblowing, committing to at leas one session per week and learning new techniques (marbles! cane!). And then, in October, I jumped into a new job … one that works with my consulting so I can do both. Altogether, I was off work for 6 months last year. And, that chance to take a breather taught me so much about what I want for my life. I’ve never had 6 months off of school/work before. Instead of different puzzle pieces …. paid work, volunteer work, creative pursuits, spirituality, friends … it gave me a chance to see the bigger picture. Weekends versus week days lost their distinction and the days became about what I wanted to do. I got out more for walks and bike rides and found myself eating better and being more present in each moment. Less drama and more peace. In the process of searching for a new job and considering self-employment, I spent a lot of time asking myself what kind of life I wanted to create for myself. And this lead me to my word for this year … co-create. In the business sense, co-creation is described as “management initiative, or form of economic strategy, that brings different parties together (for instance, a company and a group of customers), in order to jointly produce a mutually valued outcome.” That seems to fit my consulting aims perfectly. To work with clients to jointly produce valuable results. In a spiritual sense, “co-creation happens naturally whenever your soul or inner knowing inspires you to take action and follow your passion or pursue your life purpose.” That is what I want to do in creating my life. To be spiritually connected so while I am taking action to bring about my dreams and aspirations, I am doing that in partnership with the Universe/Divine/Creator/Higher Self. I like the term inner knowing … it implies a lack of ego and a sense of compassion and empathy in decision-making. So, this is 2017 … co-creating my life’s purpose in partnership with my inner knowing. 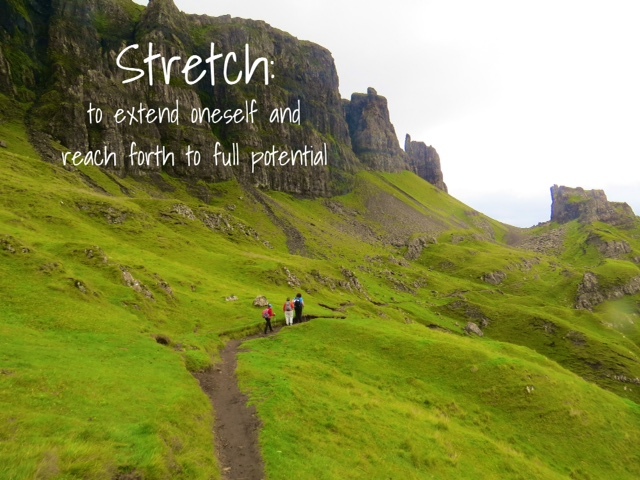 The other day a friend asked me how my word of the year – stretch – is going. I hadn’t really given it much thought but we’re mid-year already so time for a mid-year stretch check-in. In January, I described stretch as expanding my body and my spirit together in partnership to explore the potential of my life. To physically stretch my muscles to allow for free movement.To stop berating my body for the things I can’t get it to do and celebrate the things we can do together. I think that halfway through the year, I might be halfway towards this goal. While I certainly hope to stretch more physically, I feel like I have stopped letting the “not good enough” voice in my head dictate my decisions. Whether that meant saying “yes” when I want to say “no” or saying “no” when my heart whispers “yes!”. February included taking the beginner glass blowing class again. I took it in 2014 but never really found any partners to practice with. This time, I reached out more, asking people to share practice time with me, and saying yes to strangers who were looking for practice partners. It’s a bit like being the new kid at school. Finding new friends to sit with in the cafeteria or play with at recess. Except that you’re the kid that is still learning to hit a baseball instead of the kid who hits home runs. In glass blowing, when your goblet or bowl or plate or whatever goes wrong, you turn it into a paperweight. Let’s just say I have a lot of paperweights, if anyone wants one!! In March, I said “no” to an opportunity to step up into a leadership role in my spiritual community. An opportunity that was fifteen years in the making. 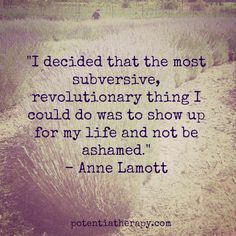 Thing is, I knew it wasn’t my path and I knew that meant it was time to head out, maybe on my own, to follow my heart and be true to my values. And while one long-term friendship didn’t survive the change, the rest not only survived but are thriving as I am more excited and energized about the future. And here is where I could go into a long sappy paragraph about gratitude and blessings. Instead, I’ll just say that every day I feel so lucky to have the wonderful friends that I do have. Hashtag blessed. In April, I stretched my concept of myself as an artist when I said “yes” when asked to submit a piece of glass art into the Studio’s silent auction fundraiser. I know it sounds silly but I never would have thought to volunteer given all the amazing artists at the Studio. I designed and created a necklace called Skye Dreaming, inspired by the colours and experience of hiking in Scotland last summer. 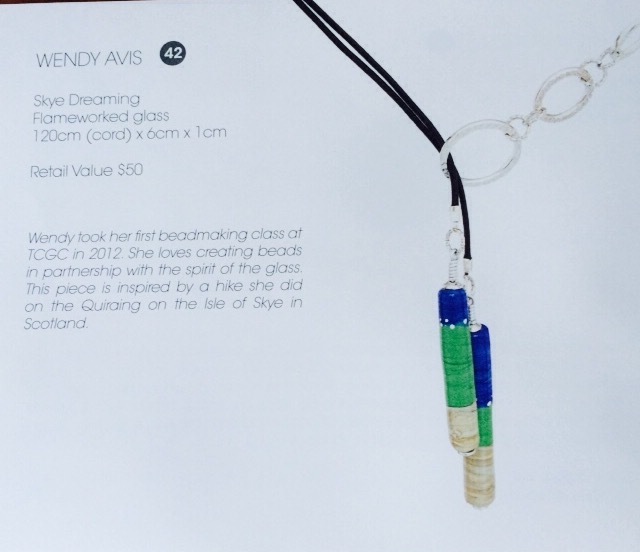 I loved the design and creation process and am proud of my piece and my page in the catalog. In May, I left the slow stretch of change behind and leapt into an opportunity to buy a new home in a neighbourhood where I have long dreamed of being able to live. January’s experience of being present at the death of a dear friend who was only forty-eight made me realize that it is foolish to put off the things that are important to some imaginary future date. That date may not happen and so you’re just wasting time. So, in a short 48 hours, I bought a new condo. And then, within a week I had sold my home of the last ten years. Now I’m in limbo til August when I move. I keep joking that it’s a bit like living with someone who you’ve broken up with. I sort of emotionally detached from my home through the process of selling it. Massive de-cluttering and de-personalizing including painting over my vibrant colours with plain white. And I lie in bed dreaming of the new place; decorating it in my head and imagining myself in the space. But I’m still awkwardly living with the old place, trying not to get attached to it again even though all the things that bugged me about it (that awful tile in the bathroom, the damn toilet that won’t stop dripping) don’t bother me so much any more since I know it’s all temporary. 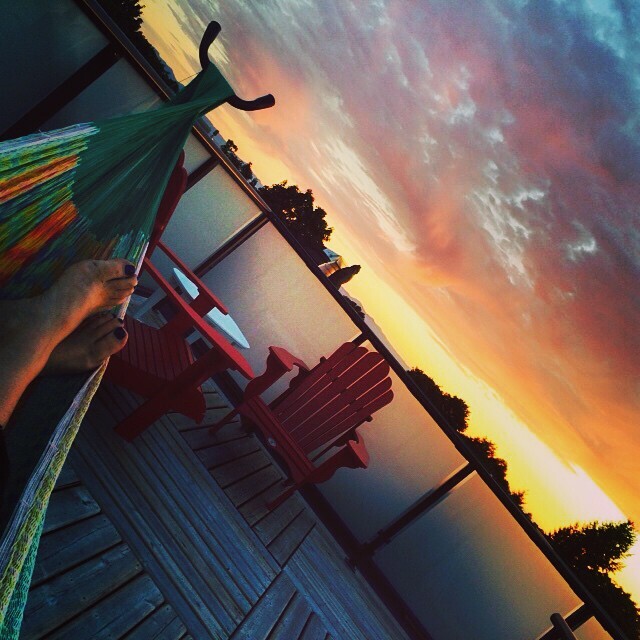 Me, trying unsuccessfully to not get attached to my rooftop patio and hammock. One of the best things about the new place is that I am within 5 km of my work. Which means that in the second part of this year, I can focus more on the physical stretching of my body as well as the emotional stretching. Being within biking or walking distance of work will mean less commuting by car – hopefully none! My aim is to walk home from work several days a week and then maybe start biking again. I hadn’t given much thought to how much I’ve stretched so far this year until I was asked. 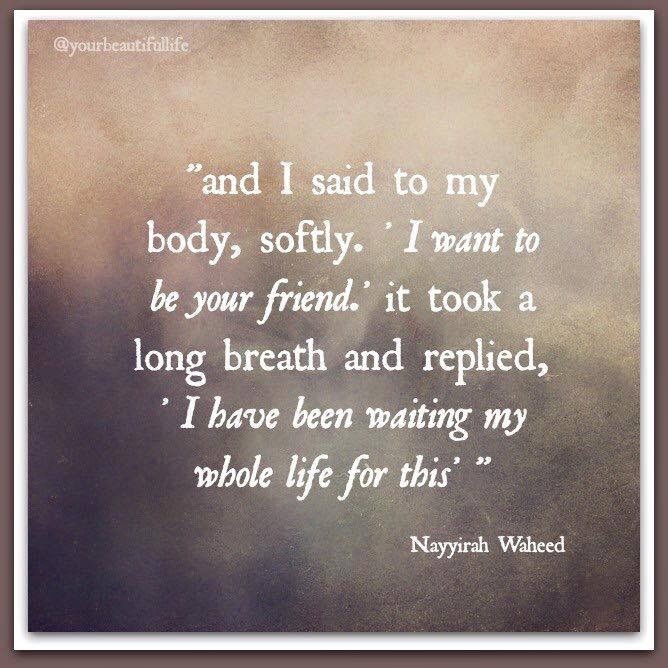 I knew that ending the war with my body had brought a new found peace and self-acceptance. By not blaming my body for my problems (after all, thin means happy, right?!) I am now focusing on the things that actually make me happy. It’s a stretch but I think it’s working! I’m not sure who started the trend of picking a word for each year (Brené Brown? Susannah Conway?) but I’ve been doing it for the past three years although I’ve never shared my word with anyone. Before now. At first I was kind of worried about picking a word because I thought it was just going to be another new year’s resolution that would gradually fade by the wayside leaving me feeling inadequate (again) at the end of the year. But that’s not what has happened. The word never played out throughout the year like I thought it would. It took on nuances, different meanings and showed up in the most unlikely places. Which I guess might kind of be the point. Last year my word was Light. It was the light in the darkness of depression and loneliness. It was the light that flickered but somehow didn’t go out, even when my heart had caved in and I couldn’t breathe. It was the light of faith that helped me to keep going trusting that it would get better. It was the light of learning that left me not regretting the past but grateful for the lessons learned. It was the light that needed me to learn how to set the boundaries that would allow it the space and oxygen to stay lit. And maybe to shine brighter. It was the light that taught me that I am merely the light-bearer, not the light itself. It was the light of the torch flame that melted glass and created beauty. It was the light that played in hundreds of photos and changed the way I look at the world. And it was the light of the fire in me that led me to this blog, to the need write and to the risk of letting myself be seen. Yup, it was not what I expected. Which makes picking a word for this year both exciting and scary. Because the word that I have picked – or rather which has picked me – is Joy. I have certainly been happy over the past year but I have not felt that pure joy that makes me feel 100% alive. The joy I feel when I’m running. Not the first part of the run when I want to stop and cough up a lung and head for the coffee shop. But, that sweet spot where I feel like I can run forever. Or dance or maybe even fly. The joy of singing. When the breath and sound and tones vibrate through me in a way that makes me feel like my heart has learned to speak. The joy of waking up early in the morning because I’m so excited about what the day will bring. The joy of seeing a loved ones name on call-display or in my inbox and feeling that surge of excitement that I get to hear their voice and their stories. The joy of being in the trees or near the ocean and finding myself in the slowness of geologic time, rather than the pressure of human time. And the joy of a spiritual connection which fills me so full of this life that I don’t want to waste one single moment of it on the things that just won’t matter at the end of it. As far as new year’s goals go, my little word seems kind of BHA – big, hairy and audacious. But since I’ve shared it, I might as well get started on it. Because if it’s anything like last year, or the year before, all I have to do is take that first step and the rest of the journey will unfold as it will. With all it’s unexpected turns. Guess it’s time to lace up my running shoes.